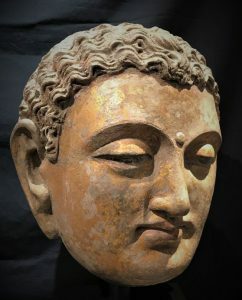 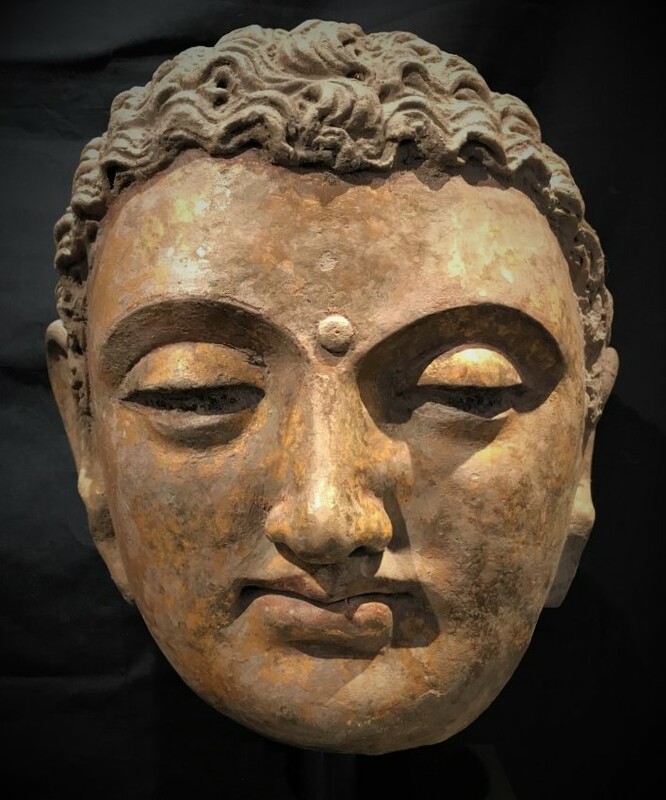 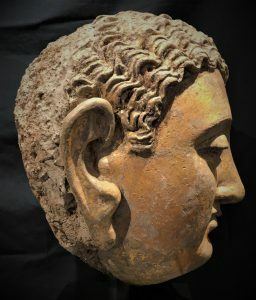 A monumental gilded stucco head of the Buddha, the eyes half open and cast down in meditation and the mouth set with a gentle half-smile; the wavy hair highlighted in black pigments, with extensive traces of gilding and red pigment remaining. 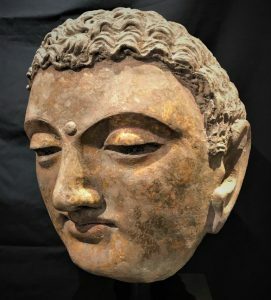 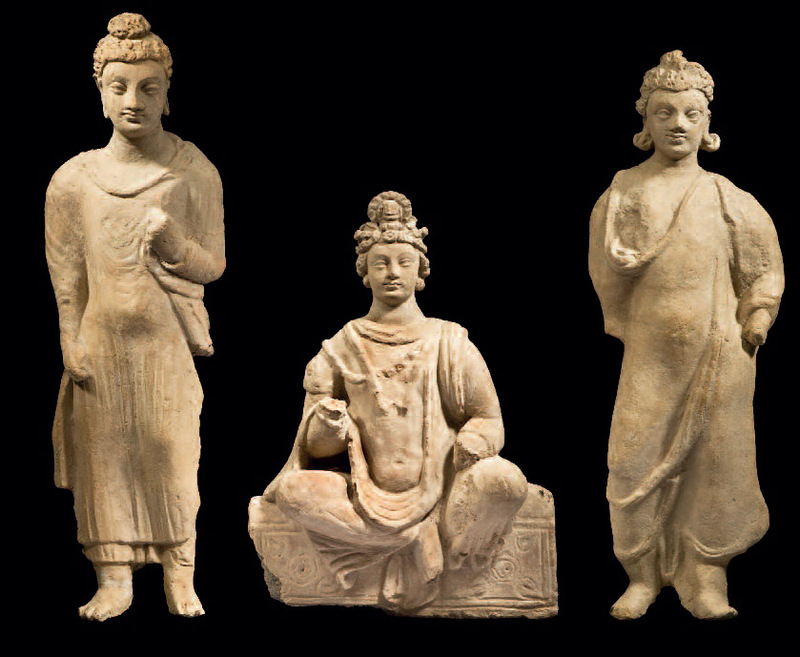 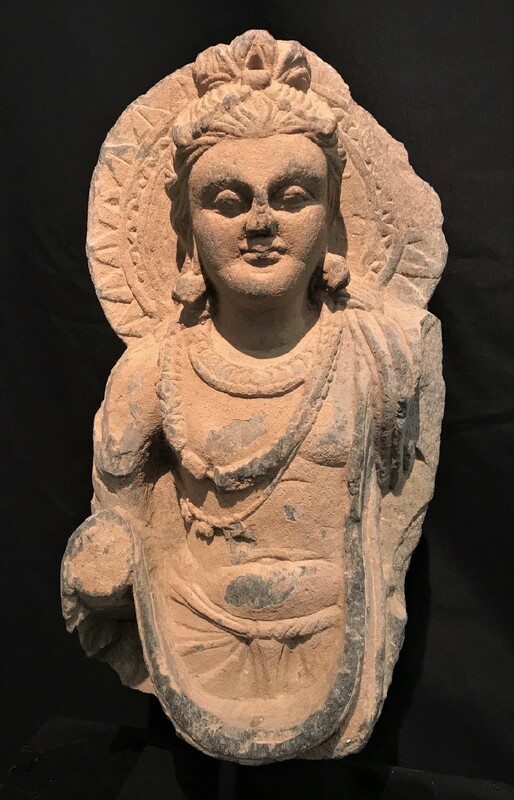 The use of stucco and terracotta as a substitute for the grey schist of many early Gandhara sculptures led to a greater freedom of expression and innovation. 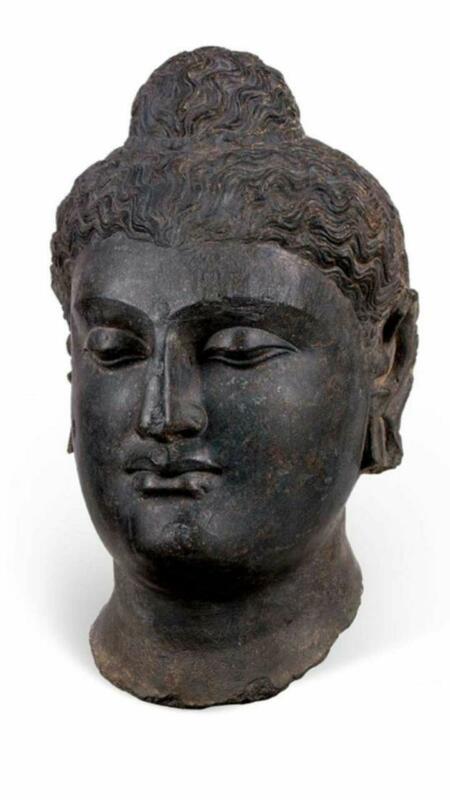 Perhaps the finest of all the many examples of stucco Buddha heads is the one in the Victoria and Albert Museum. 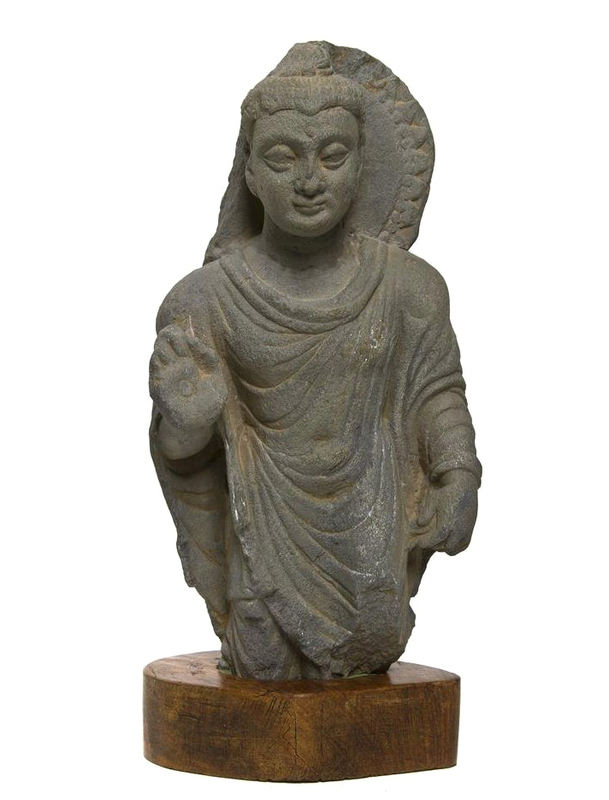 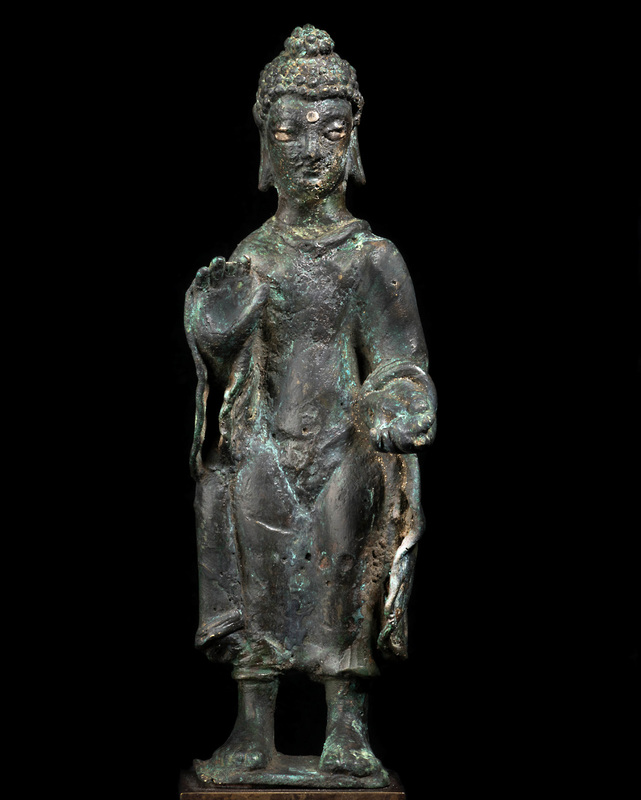 Widely published and admired, it is variously ascribed to either Hadda or Taxila- see catalogue no. 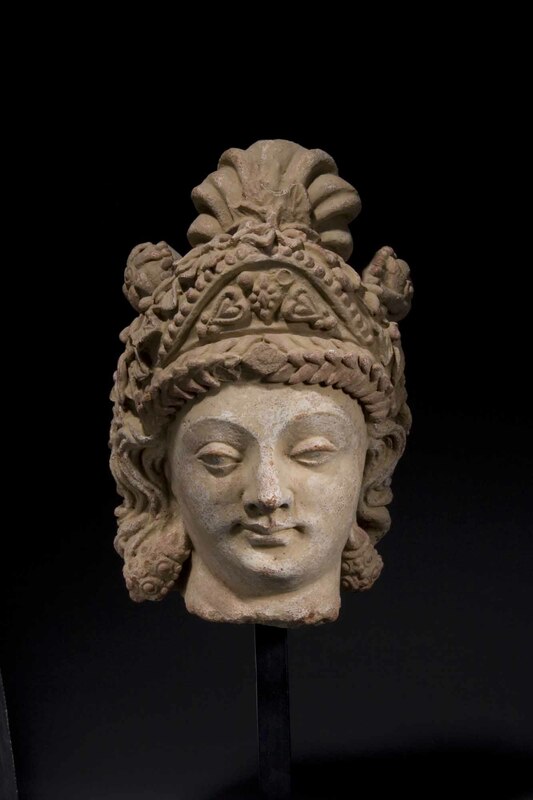 120 in Stanislaw Czuma, Kushan Sculpture: Images from early India, Cleveland Museum of Art, 1985. 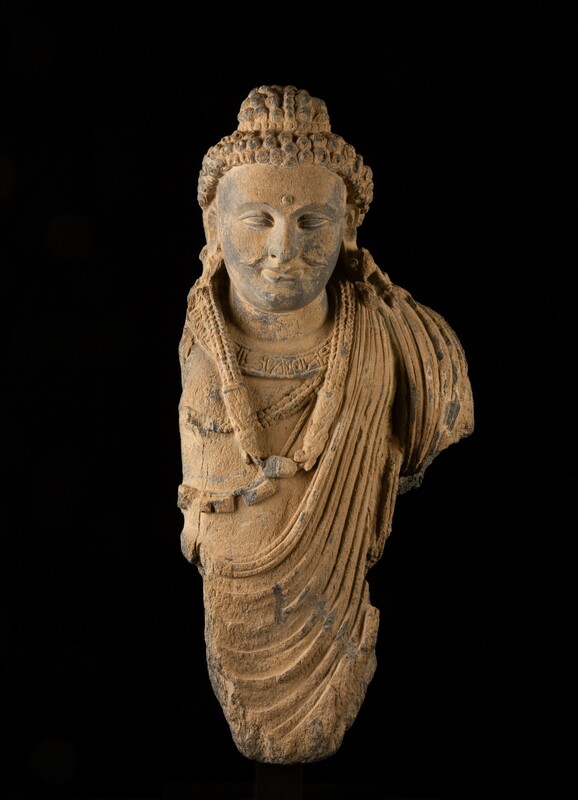 Acquired from the David Aaron Gallery, London in 2008. 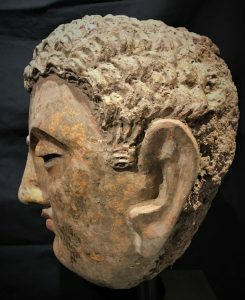 Acquired from the Anavian Gallery, New York in the 1980s.